How can I know if the installation of code snippet is working? 3. 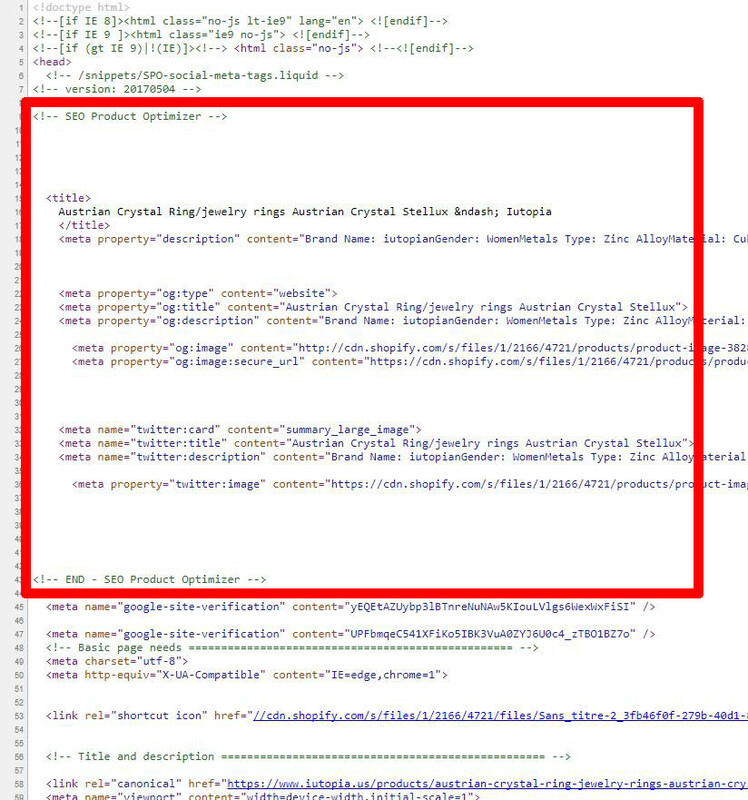 If you can find a similar coding (highlighted in red color), you're done! p.s if you find that Facebook doesn't update your social image, clear cache stored by Facebook in Facebook Debugger. Just press the "Scrape Again" button for few more times though you may find it not responsive. How can I uninstall SEO Product Optimizer?